Below is an introduction to the pilots behind Half Fast Flying Adventures. Logging his first PIC hours by the age of five, Brian has been flying aircraft of all shapes and sizes for nearly his entire life. When he's not flying, he can usually be found in the hangar working on the planes (all of his shirts have the pilot's telltale sign - oil stains). 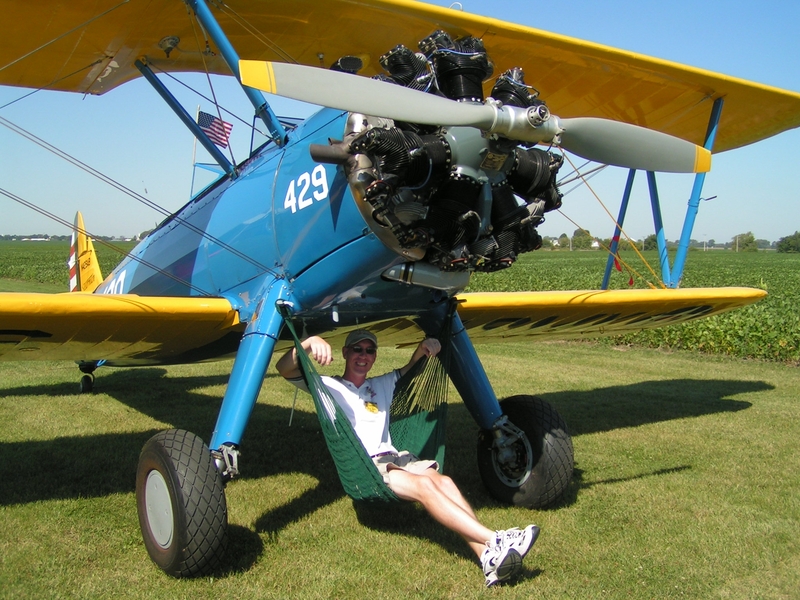 Brian is a Certified Flight Instructor (CFI) for aerobatic and tailwheel instruction and maintains a long list of ratings and endorsements, including being a member of the Splash & Dash club (i.e. seaplane rating). 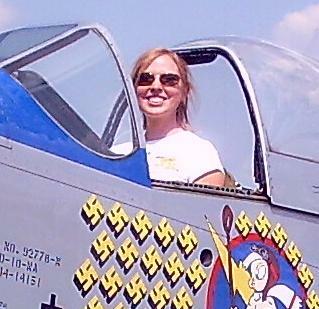 Rachel earned her wings in 2007 and now takes the to the skies whenever she can. When she's not flying, she's writes science fiction/horror, where at least one of her characters is a pilot. Visit www.rachelaukes.com to learn about her books. Click here to watch an interview by the Des Moines Register. ​Ellie's the newest aviator in the Half Fast crew. She loves going anywhere her human parents go, especially if where they go leads to meeting new people and dogs. Chances are, if you see one of our planes, Ellie will be nearby.